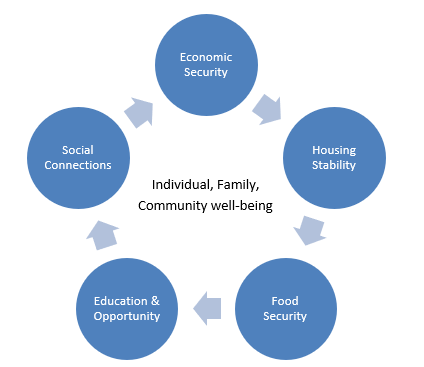 An essential aspect of ensuring social equity is the focus on individual, family and community well-being. It is about asking if we have the policies, systems, structures and social supports to buffer the stresses of day to day living and traumas that arise from crisis. 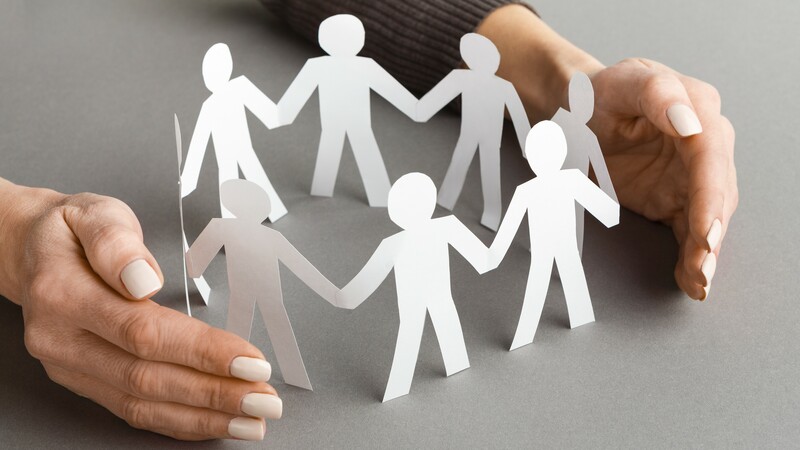 Ultimately it is about building our social capital and connections in the community, so everyone feels they have someone to turn to should the need arise. 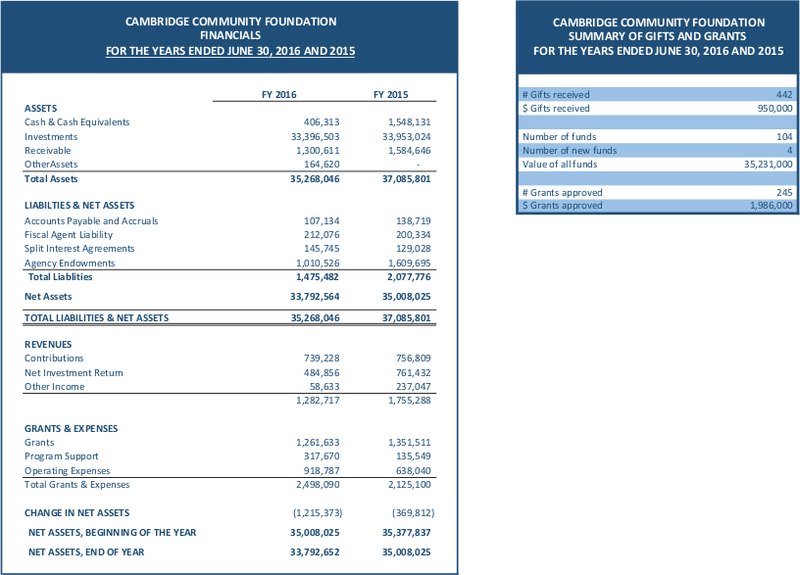 The 2017 Cambridge Needs Assessment study, co-funded by the City of Cambridge and CCF, highlighted Economic Security; Housing Affordability and Mental Health as three of the city’s top tier needs. According to the study, Cambridge is a relatively healthy city compared to the state. The city’s parks and open spaces, bicycle pathways, transit access are amenities that support health lifestyles. 99.6% of Cambridge residents are covered by health insurance. However, low- and middle-income households, as well as particular racial groups that face inequity are both most at risk to experience adverse health outcomes and are the most challenged to address them. Ensuring social supports are in place to help people buffer the stresses of day to day living and traumas that arise from crisis are essential. The Cambridge Needs Assessment also notes concerns about children’s mental as an area of needed focus, pointing out that among public school students: “Roughly 21% of both middle and high school students report being depressed; 8% of high school students and 13% of middle school students report having seriously considered suicide. Many students also report worrying “fairly often” or “most of the time” about a range of topics, the most common being school performance, weight problems, and arguing at home”. Cambridge is fortunate to have a wide variety of nonprofits protecting the health and wellbeing of children and families. These supports range from direct mental health supports, to wrap-around services and family services. Even activities for children play a role. Here are some of the organizations we’ve recently funded to support individuals and families in our community. Adolescent Consultation Services, Inc. supports and empowers court-involved children and families by providing mental health prevention and intervention services to help them move forward in a positive direction. Cambridge Community Center (CCC) is hosting Cambridge Winter Farmers Market (CWFM) for the 6th year, held inside CCC’s gym every Saturday from January to April. Community Dispute Settlement Center started Cambridge Juvenile Court Harassment Prevention Mediation, a new initiative in response to the needs of youth in the Cambridge Juvenile Court. CDSC also offers community mediation for individuals and families with a focus on divorce, housing and consumer-related disputes and conflict skills training. CW Taekwondo at Boston  connects youth to world-class movement arts education at an affordable price and access to life skills (bullying and stranger danger). Girls’ LEAP emboldens girls to stand in their power and honor their right to safety. Community Conversations Sister to Sister promotes black women’s health by cultivating community leadership, connecting and empowering intergenerational lay, emerging/novice, and professional stakeholders in diverse conversation and partnerships. Coordinated Care Program for Political Violence Survivors Vulnerable immigrants in Cambridge and other cities served by CHA have become increasingly fearful of accessing healthcare services and resources. This program coordinates services to address this problem. Emerge: A Men’s Counseling Service Health working with abusive men to eliminate violence toward women. Parenting Journey’s high-impact programs partners with parents to build stronger families. VNA Hospice & Palliative Care offering end-of-life services to those in need.